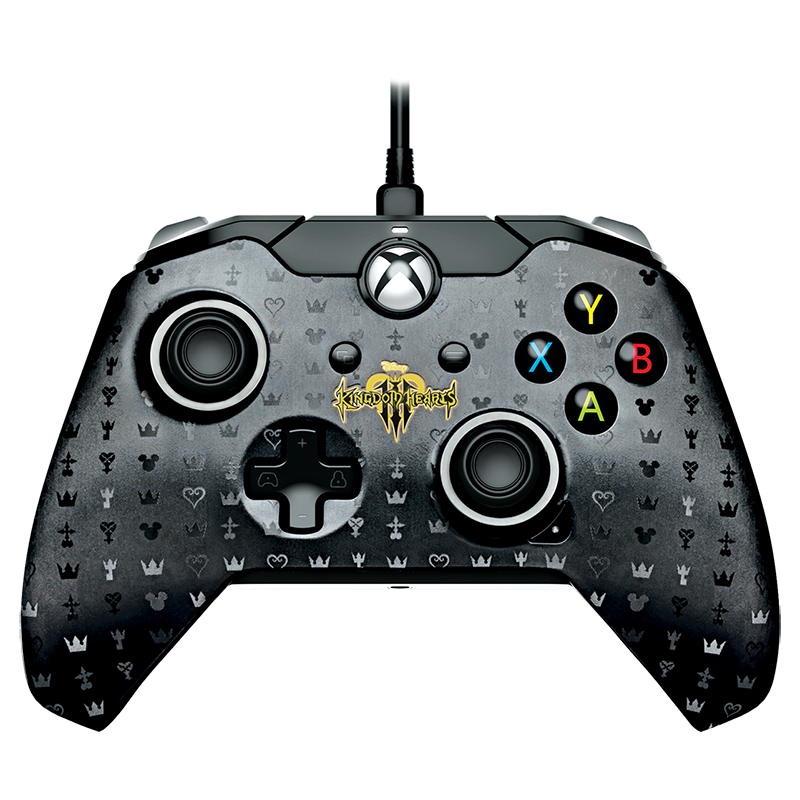 With a sleek design featuring artwork from the popular franchise, non-slip grips, and textured trigger and shoulder buttons, you’ll have all the gear you’ll need to restore peace to the realms. Enhance gameplay with vibration feedback and give yourself plenty of room to get comfortable with the 10 foot detachable cable. It’s time to join Sora and his friends on their next adventure! 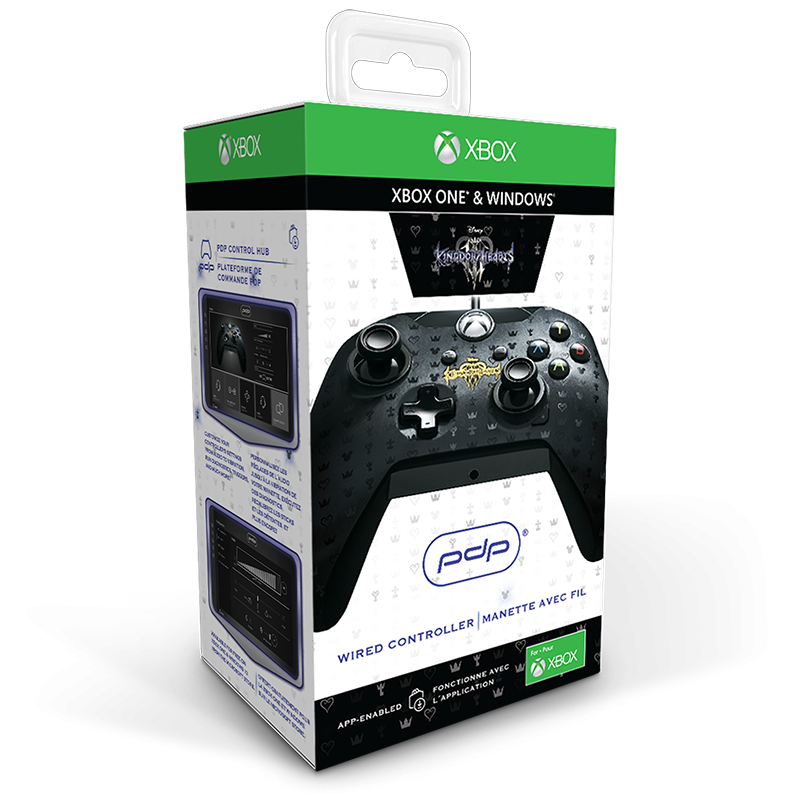 Experience why PDP is #1 in 3rd party controllers with the PDP Wired Controller for Xbox One & Windows. With a sleek design, non-slip grips, and textured trigger and shoulder buttons, you’ll easily crush the competition and look good doing it. Enhance gameplay with vibration feedback and the audio control button located directly on the front of the controller, so you can adjust game and chat audio levels without interruptions. Plug in your headset to the 3.5mm audio jack and you’re ready to chat with friends. The 10 foot detachable cable gives you plenty of room to get comfortable. 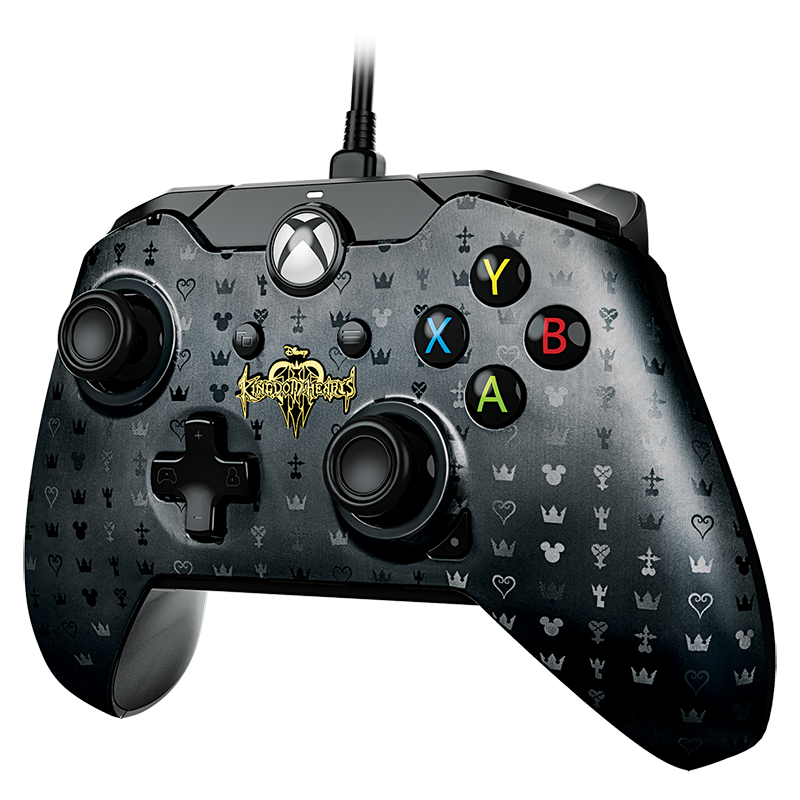 You had me at special edition KH controller. & then you lost me at wired & XBox. I don't own an Xbox One so I'm definitely not going to buy this even though I want to. One of the very few times where it pays to be an Xbox fan. I'm a bit confused on the decision to have it be wired, but I'm not too familiar with third party controllers and if this is how they have to be made and it's not something I'm keen on actually researching and learning about aha. Personally, it's not my style. I think the design is a bit busy and the gold may have been a bad choice to make, but if someone wants to buy it then they should. It's great to have a dedicated controller and for Xbox which has gotten the short end of the KH stick these last 6 years, then it is at least something. Yeah... I'm not feeling this one? Like, the symbols scattered everywhere really do not work in this case and the gold seems tacky. also, italian trivia: it's funny to see the PDP logo because that's the acronym for Scrooge McDuck's italian name. So in my mind Scroog is the one behind this promotion. I'm just surprised it's not plaid. I don't mind the symbols, but I think the KH3 logo looks awful at that size. also, italian trivia: it's funny to see the PDP logo because that's the acronym for Scrooge McDuck's italian name.So in my mind Scroog is the one behind this promotion. First ice cream and now controllers. What crazy scheme will Scrooge come up with next? I like the design. You can still use the controller for PC Gaming if you don't own an Xbox One. Not fond of this, actually. Plastering the symbols all over the place looks kinda messy and is not too nice to look at and the Gold doesn't really fit Kingdom Hearts - yeah, I know the two Kingdom Keys have golden parts, but this just doesn't impress me. I don't own an XBox anyway, so nothing missed. It doesn't look half bad. Also the wire is detachable in case any of you decided to only read the title. It'd be nice to have for PC but I actually do prefer PS4's controllers over any other. It's both hideous and not as hideous as I expected. I'll take a PS4 one. It's just...ugly. A bad design and while I understand Sony is more strict when it comes to third party controllers, it seems an odd choice for XB. Kind of like when they tried to promote FFXIII and Vesperia on XB and it didn't really work. Even if it was for PS4, though, I wouldn't be getting it. It's just trying too hard and ends up a mess. I'd give it a 5/10. Give me wires over battery-eating any day. The symbols are okay? I don't hate them but I don't like them either. Having the logo there is just a bad decision. Square Enix Manager : "Throw that design out, it's bad. We'll go with the current design for the upcoming PS4 Pro bundle"
Square Enix Employee : "Yessir!" Square Enix : "Introducing the Kingdom Hearts 3 PS4 Pro Bundle!" Microsoft Manager - Xbox Devision : "Well what about us? Are we chop liver?" Square Enix Manager to Square Enix Employee : "Resurrect that bad design. Microsoft wishes to be included." As long as it charges while it's plugged in, the cable is removable so it's no issue (and better that way). I'm not crazy about the busy design either.